Cliffside Modernization — Morgan Corp. The Cliffside Modernization Project encompassed the construction of a new coal-fired power unit at the Cliffside Steam Station. 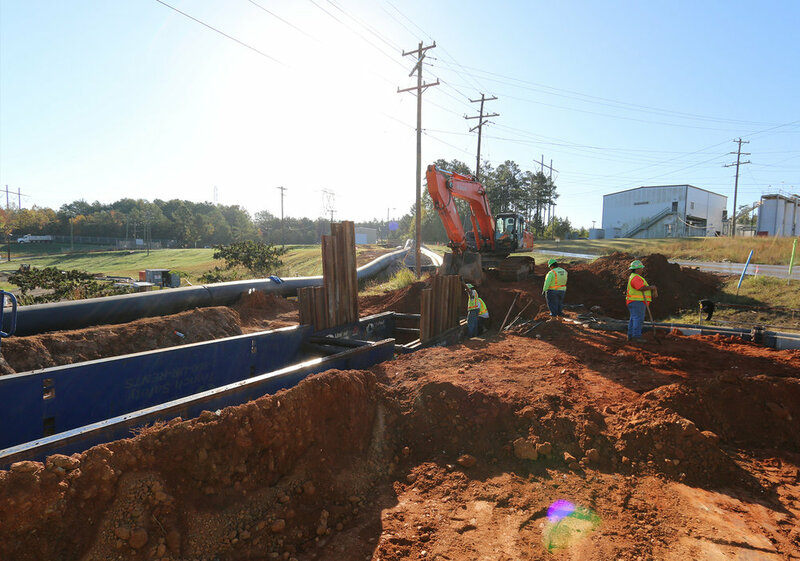 The scope of work included initial clearing & grubbing, erosion control installation, earthwork/rock excavation, storm drain installation, and infrastructure paving. 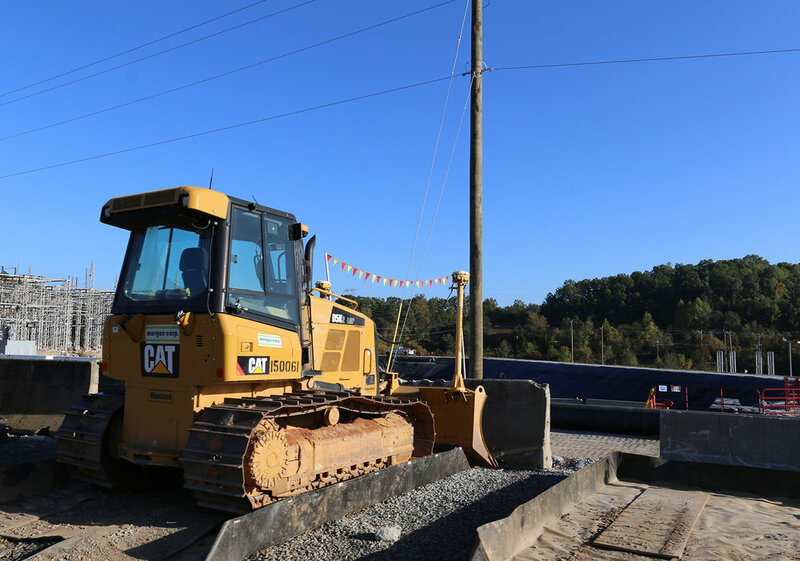 This job entailed 1.2 million cubic yards of earthwork, including the drilling and blasting of approximately 500,000 cubic yards of mass rock in close proximity to the existing power plant. Over 800,000 tons of stone base material was crushed and processed for reuse on the site. The job also involved 500,000 square yards of stone base placement and 50,000 cubic yards of fly ash excavation and disposal. 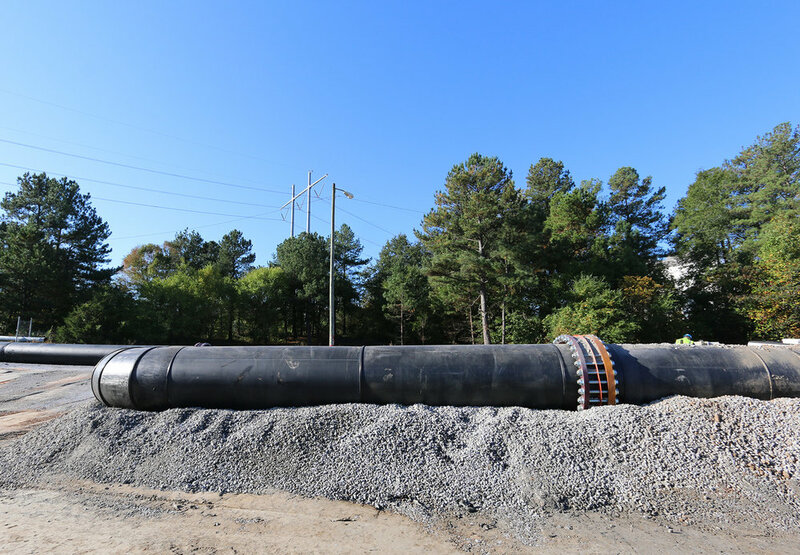 Our workers placed 4,000 linear feet of storm drain (15”-60”) with 22 storm drain structures.